BAYTOWN, TX (KTRK) -- A cement truck driver walked away with his life Friday morning after a fiery crash in Baytown. The incident happened on Spur 330, just before Rollingbrook Drive, on the outbound lanes around 7:30 AM. The accident shut down all main lanes and the feeder road. As of 1pm, the feeder road and the Spur reopened to traffic. 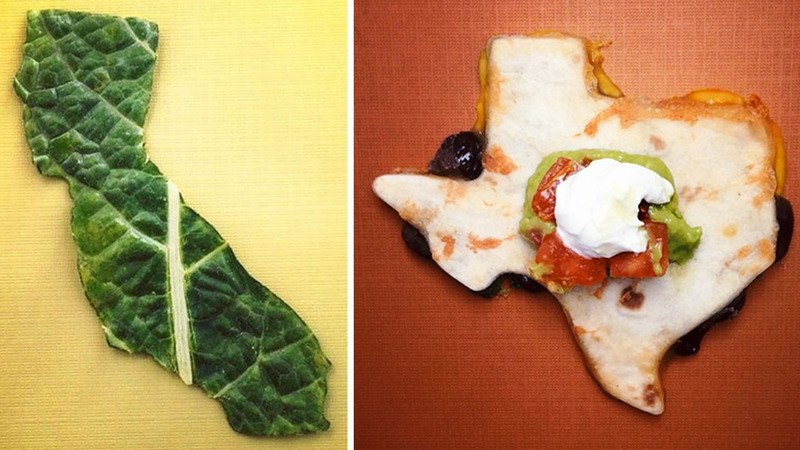 The Foodnited States of America is a pun series of the U.S. states, inspired by an 8-year-old boy. According to Baytown firefighters, one of the truck's front tires popped resulting in a crash where pieces of the truck were ripped off. "One of his front tires blew out, he was at road speed. He lost control and ran into the wall about 100-200 feet back from where he landed. Then the drum separated and landed where you see it," said Tim Rogers, Baytown Fire Battalion Chief. "We're fortunate nothing catastrophic happened. There could have been a lot more damage and injuries to other vehicles if this had gone differently." Nearby, security guard Vern Miller heard the collision from all the way inside the Community Resource Credit Union. He raced outside only to see the truck on fire. "Well, sounded like something blew up maybe inside the building, that wasn't the case. Very loud, a lot of smoke and fire ... and the gas tank I suppose blew up," said Vern. "The driver was okay and that is what we originally rushed out to do .. to try to save him and he was okay. I've never seen anything like that and I've been in the business a long time." Paramedics took the driver to Bayshore Medical Center with non-life threatening injuries. The truck belonged to Jerson's Concrete out of Pasadena, TX. TXDot spent the morning accessing the damage to the roadway.